John W. Dulles. The Ride Through Palestine. Philadelphia, 1881. The maqam of sheikh Sheiban is marked on the PEF map (Sheet XVII). 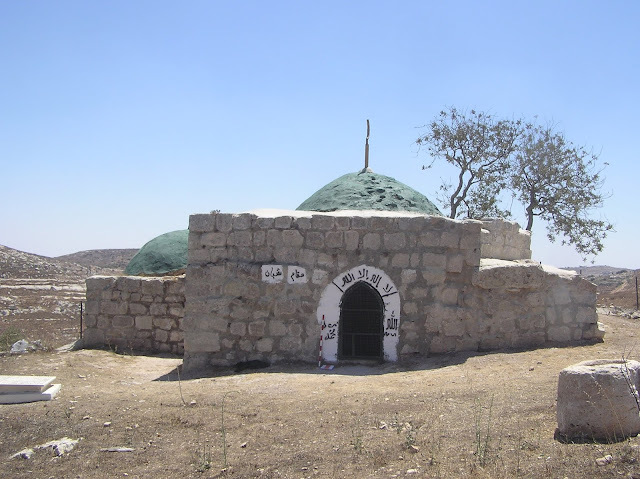 Until nowadays it has been an active Muslim shrine, as it is located on the territory of the Palestinian Authority, the people of al-Bireh visit it. Recenly some reconstruction works have been proceeded in the maqam: the inner rooms have been whitewashed, the dome — painted green and topped with a small spire with a crescent. At the entrance there appeared an Arabic inscription “Maqam Sheiban”, and also a traditional Shahada. The domed room is 8.05 x 7.10 m. The dome has an octagonal base. In front of the mihrab there lies a big carpet for prayers. The sheikh's cenotaph is located in a little domed annex on the eastern side of the maqam. First, the cenotaph might be in the main building, in front of the mihrab. 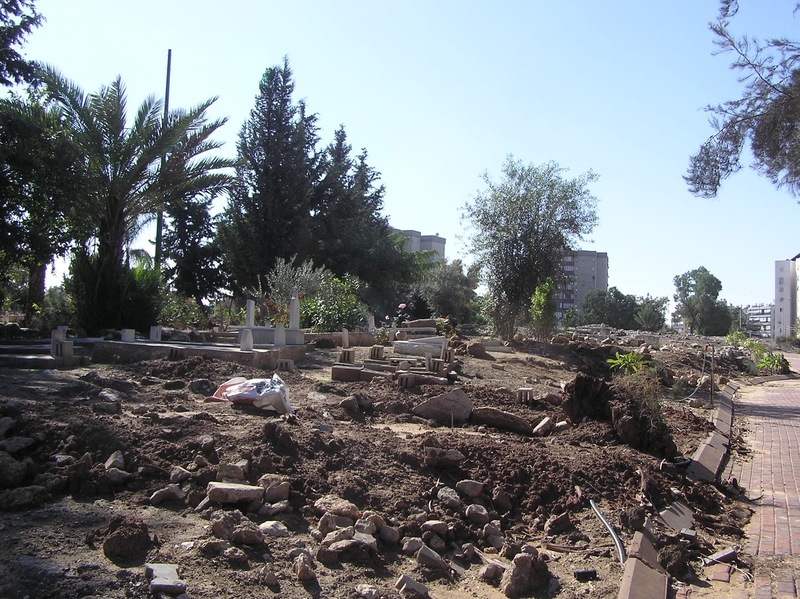 A small Muslim cemetery borders with the maqam; there are a few recent burials. Route. Turn from Route 466 to the asphalt road which the Israeli use to get to settlement Psagot, located to the south from Beit El. 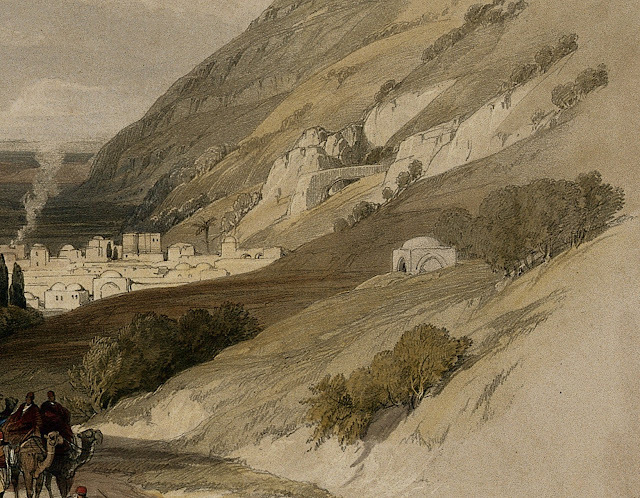 In a kilometer you see mountain Sheiban topped with the maqam to the west from the road. You can reach it taking quite a steep path, which is hardly visible among stones and bushes. 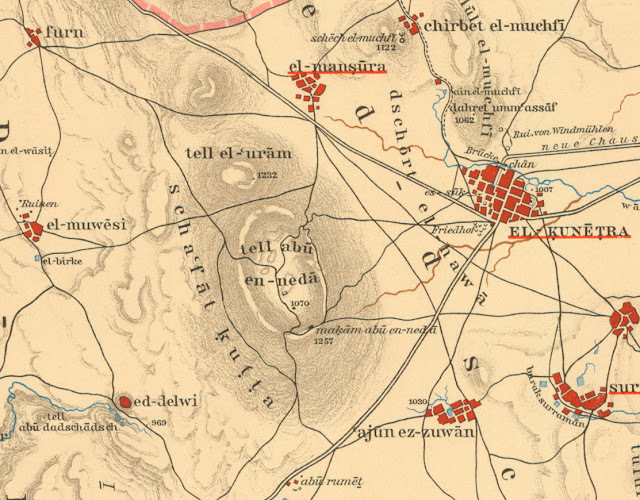 In 1930s there were two mosques and 14 Muslim shrines in Arabic city Ludd (Hebrew: Lod). Now both mosques continue to function, but 5 out of 14 shrines survived. 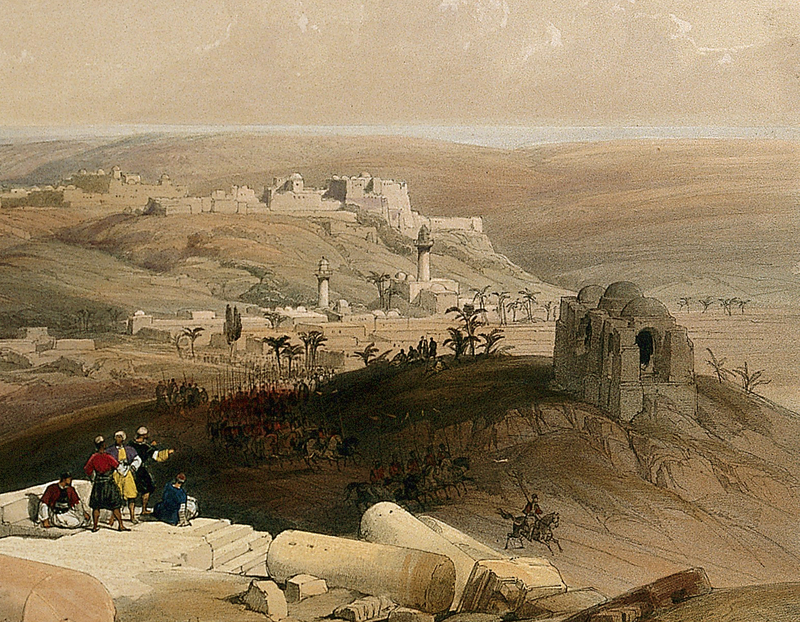 ‘Abd ar-Rahman ibn ‘Awf was one of the companions (ashabs) of Muhammad the Prophet. According to the tradition, he died in Medina and was buried in al-Baqi‘ cemetery. But the Muslims who lived in Palestine believed that Ibn ‘Awf was buried on their land, and they even built a mashhad (a shrine) in his honor to the east from the city of Ludd. An Arabic explorer Mudjir ad-Din mentioned this shrine (1496): “Near Ludd from the eastern side there is a mashhad, the the tomb of Abu Muhammad ‘Abd ar-Rahman ibn ‘Aouf, the companion [of Muhammad], a supporter who died in 32 of Hegira” (Sauvaire 1876, 211). Now the mashhad Ibn ‘Awf is on the territory of an old Muslim cemetery. Almost nothing left from the Mamluk's building. 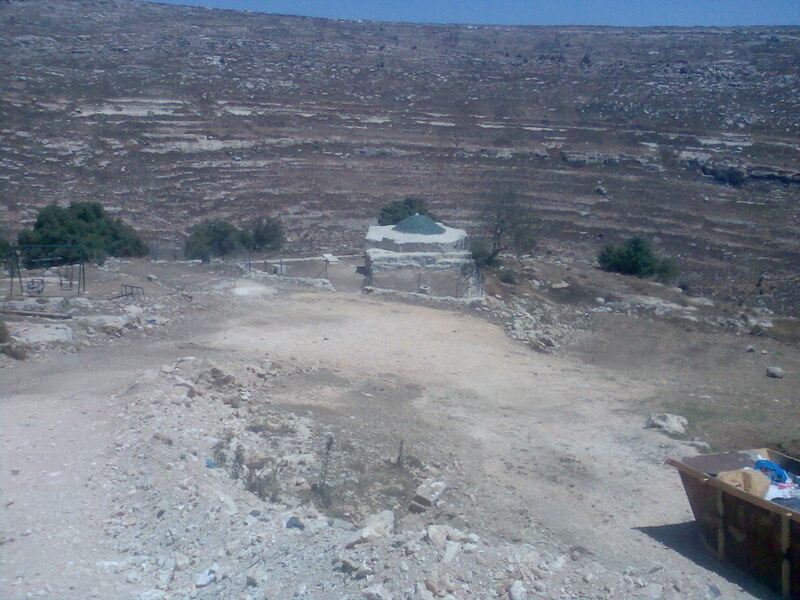 A modern Prayer house is built on its basement, and only a green dome of the survived shrine marks the place where the cenotaph of Ibn ‘Awf is. Route. This Muslim shrine is located in the eastern part of Lod, at the entrance to the city by Route 443 or via street ha-Hashmonaim. In the center of Lod, on Hashmonaim street (Route 443) there is an old Muslim cemetery; very untidy and neglected, despite the fact that it is under protection. Near the entrance to the cemetery stands Maqam sheikh Ibrahim nearly all covered with ivy. Only the north wall with a wide arch doesn’t have ivy on it. 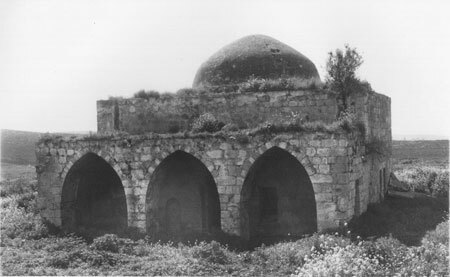 A. Petersen visited the maqam in 1994 and described it so: “The maqam consists of a rectangular cross-vaulted structure (4m x 4m) with a small dome in the top. The east face is open and there are windows in the north and south sides. The outlines of a grave or cenotaph can be seen outlined on the floor. An inscription dated to 1119 H. (1706–1707 CE) on the exterior of the building states that this is the tomb of Shaykh Ibrahim Suwayq” (2001, 209). The exact dimensions of the structure are 4.66 x 4.50m. The entrance to the maqam is not on the east, but on the north-east side, where a wide arch is present. There is an inscription in Arabic on the north wall, however, to the right of the entrance. Dome of the maqam, apparently, completely covered with ivy. Note also that the tomb has no mihrab. Not so long ago the maqam was whitewashed and its floors were tiled. A modern tombstone with an inscription in Arabic “Muhammad al-Mabtuli” was installed instead of the cenotaph. 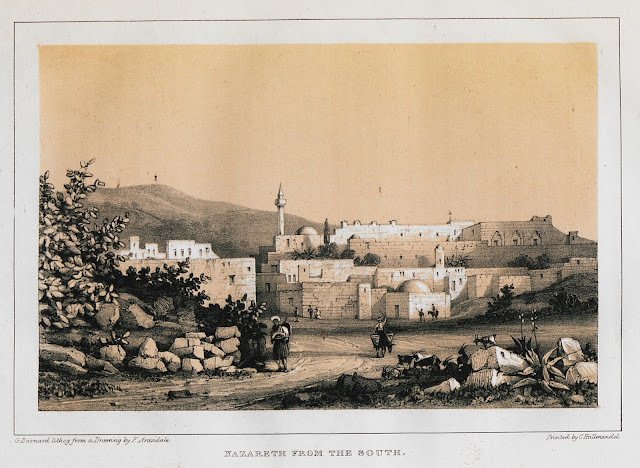 Note that the Mosque of sheikh Ibrahim al-Matbuli (d. 1472), known even to researchers of the 19th century (Palmer 1881, 273; Stewardson 1888, 139), is located on the Tel Ashdod. 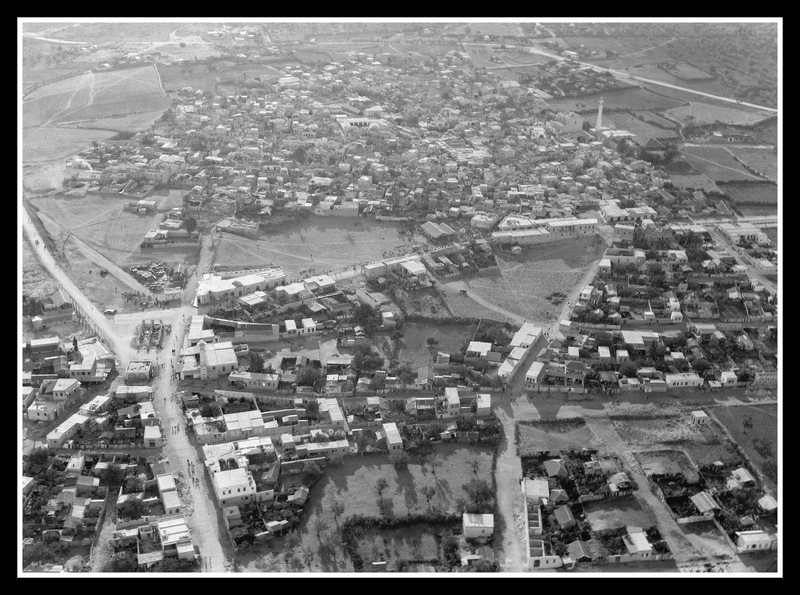 According to the photos made just after the Six-Days War in 1967, the mosque in Kafr ‘Aqab stood in the middle of the village. Now there is only a basement of the mosque and 1–1.5 m high walls on the hill. Almost nothing left from the minaret. Route. 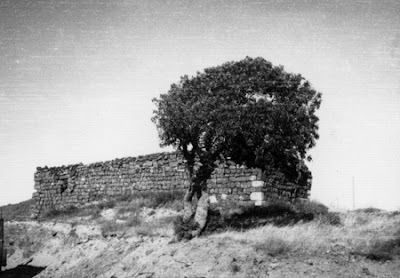 On 20th km turn from Highway 92 to moshav Ramot and in 250 m to the left there is a hill with the ruins of Kafr ‘Aqab village. 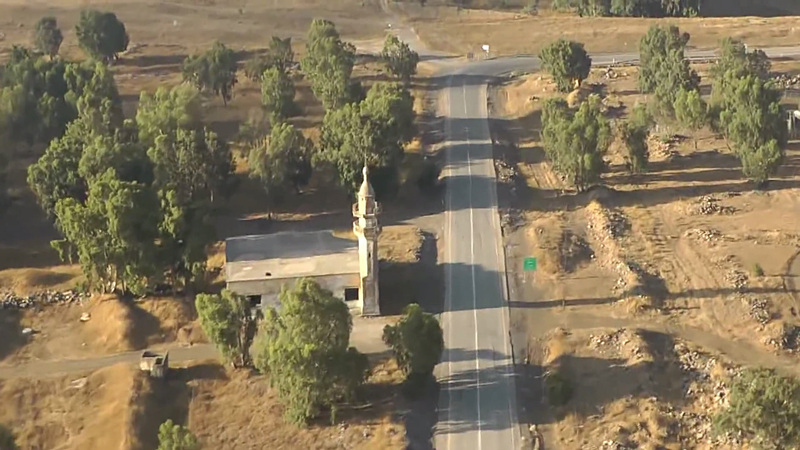 This mosque is observable for all who take Highway 87 and pass a former Syrian (Cherkess) village Khushniya, as the mosque stands right near the road. It was built just before the Six-Days War and now is the only object left after Khushniya. The mosque is often made photos of due to its beautiful minaret with two rounded balconies. The building is relatively safe, besides the south-western corner, which was destroyed during the 1967 war. The S wall with the mihrab is covered with Arabic and Jewish inscriptions left by modern visitors. The exterior of this mosque looks like the mosque in al-Ghabisiya (see next): the same beautiful three-arched portique (riwaq), approximately the same size of the Prayer hall decorated with high arched curves. 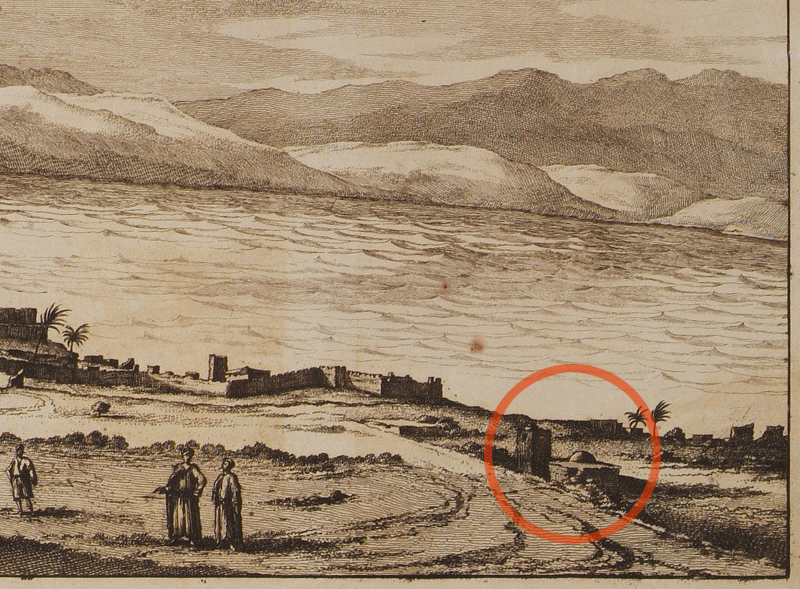 Obviously, the mosque in ‘Amqa was built in the 19th century too. As in other villages of the Upper Galilee, the Druzes lived in ‘Amqa. In September 1991, the mosque was studied by A. Petersen and made a detailed description, “This structure is located at the highest point of the rocky hillside on which the village was built. It is the only surviving building from the Arab village with the exception of a schoolroom now used as a warehouse (Khalidi 1992, 5). The mosque consists of a domed prayer hall and an open portico (riwaq) divided into three cross-vaulted bays, each open to the north. The portico also has an open arch at the east end and a rectangular window at the west end. 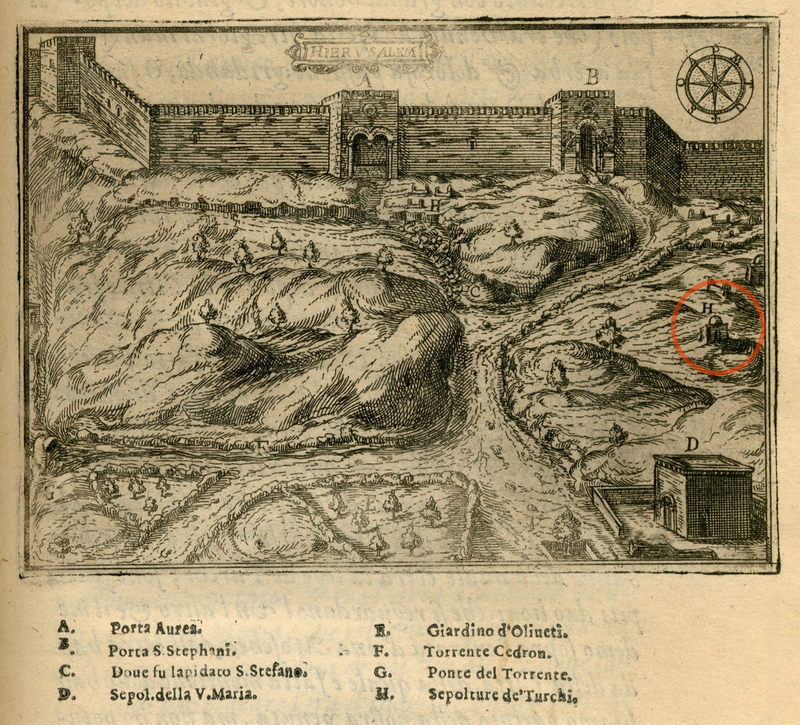 The area in front of the portico (now overgrown) was an open paved courtyard containing a deep cistern in the middle. The prayer hall is entered through a doorway in the centre of the portico. Its hall is a large square room with massive corner piers supporting the springing of the dome. The interior is lit by a pair of windows on the west and east sides and windows either side of the main door. The area between the piers form wide recesses covered with tall arches. There is a small concave mihrab set into the south wall, slightly to the left (east) of centre, possibly to accommodate the minbar (now vanished) on the west side. The dome rests directly on the pendentives without the intervention of a drum. The roof of the building is reached by a set of steps within the thickness of the west wall. The staircase is entered from a doorway set into the exterior of the west wall. The exterior of the dome and the flat parts of the roof are coated in a thick grey waterproof plaster. The lower part of the dome has near vertical sides whilst the upper portion has a shallow slightly pointed form. The entire structure is built out of ashlar masonry with a white plaster coating on the interior” (2001, 93). Over 25 years the abandoned mosque looks quite the same way. Only the destruction process speeded up: the entrance to the Prayer hall is damaged, the E wall partly collapsed, as well as a mihrab in the S wall. Though the damages are not disastrous, the monument is in danger. The fallen wreckage with rubbish are heaped in front of the entrance to the mosque. From time to time the organization Zochrot organizes excursions for refugees and their descendants in village ‘Amqa. Though we did not see any Muslim traces in the mosque. Route. 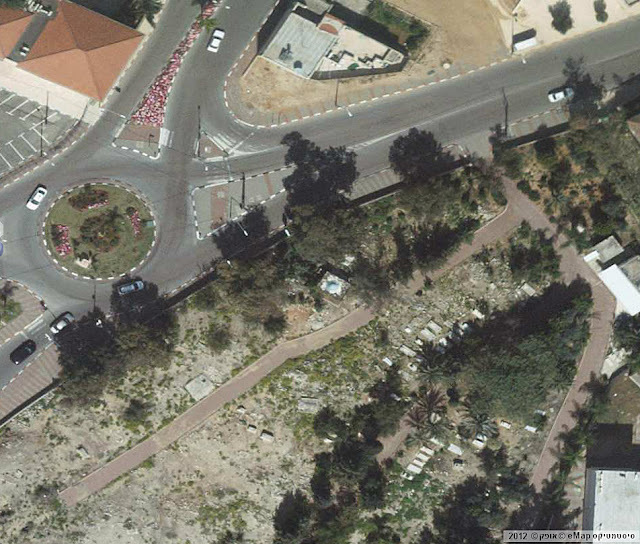 There is a turn from Highway 70 to a road leading to Israeli settlement ‘Amqa. 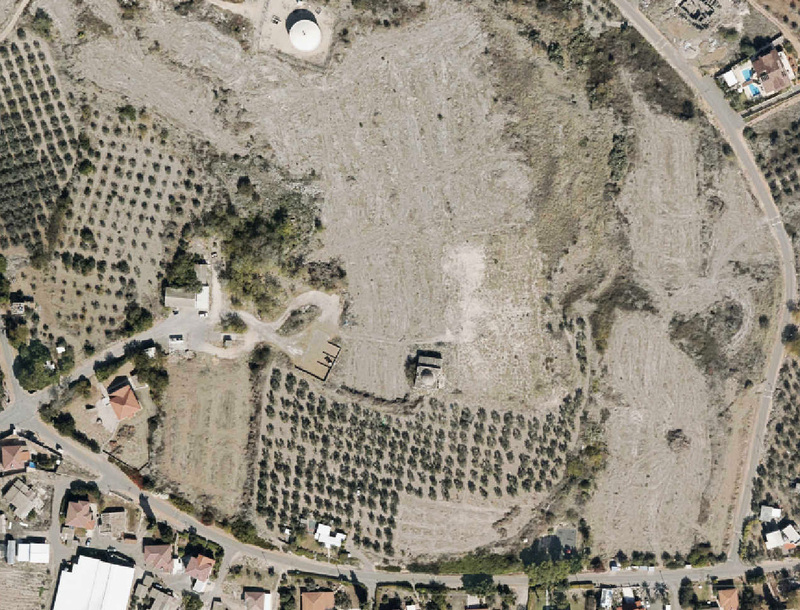 You should pass the settlement till the eastern suburbs where there stands the abandoned mosque on the waste land. A. Petersen commented this mosque as follows, “This appears to be a fairly modern construction, probably built in the early 1900s. It consists of a tall square room with a flat roof supported by iron girders. At the north-east corner is a short cylindrical minaret. There are tall pointed windows on all four sides and a mihrab in the middle of the south wall. At present the building is used as a sheep pen” (2001, 111). Now this moque is located in the Industrial zone Shlomi, 50 m to the west from Maqam al-Khidr (see Section 7. Maqams. 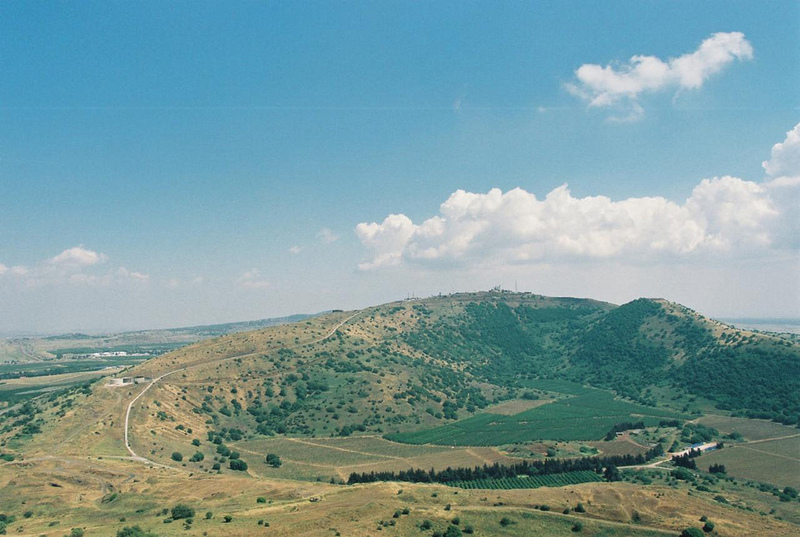 Galilee and the Golan Heights). In the the 1990s there was also a sheep pen, now the mosque is used like it was meant for. The Muslims restored it, installed a gutter, put a lock on the door and totally enclosed all the windows with iron bars and curtains. The majority of time the mosque is blocked. Only sometimes when Muslim pilgrims come there, the mosque is open and a prayer is exercised there. Only one out of 24 Muslim shrines (including Bedouin ones), which G. Schumacher saw in the Golan Heights, remained intact till present time. It is the shrine of sheikh Marzuk (see Chapter 7. Maqams. Galilee and the Golan Heights). The other shrines vanished completely. A huge building of the Tomb (of nabi ?) Abu an-Nida topped a volcanic Mount called Avital. The mountain in Arabic is called Tell Abu an-Nida. “Nida” means “dew”. 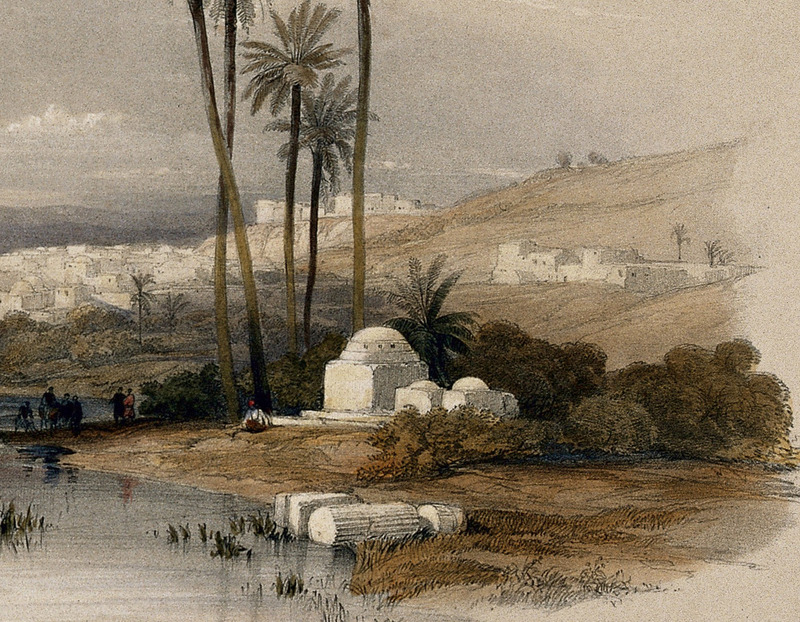 G. Schumacher described the tomb as follows, “The highest point of the Tell takes in the large Wely, or Makam Abu en-Neda. This is 38 feet long, 21 feet broad, 8 feet high, and has two whitewashed cupolas that can be seen in the whole country. The sepulcher of the great Moslem saint lies enveloped in silken cloth in the southern division of the building. In the afternoon the view from this Makam is magnificent, but in the morning thick misty clouds arise from the crater and obscure the whole country till 10 o'clock in the morning” (1888, 249). The mountain Received such mane due to this morning humidity. “There is also a curious piece of antiquity to be found on the roof of the Wely Abu en-Neda, viz., the peculiar image, 2 feet 3 inches high, of a bird, which is fashioned in basalt, and reminds one of Egyptian or Persian art. Unfortunately the head is wanting.” (1888, 250). 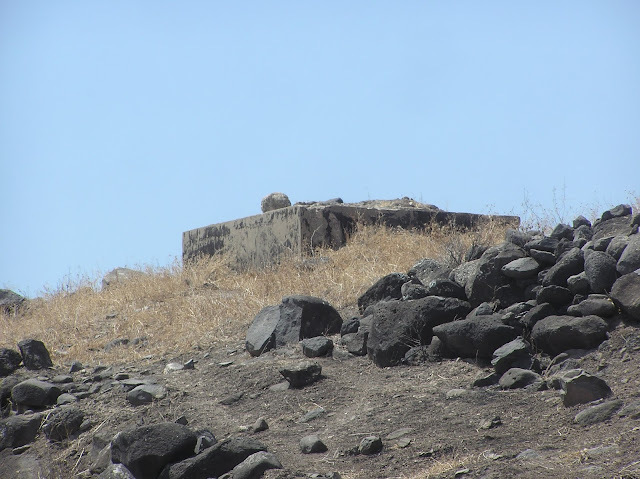 The tomb [of nabi] Abu an-Nida has been probably existing up tot he Six-Days War in 1967, when the Golans Heights weere captured by Israel .Since then an Israeli military base has been established on the top of Tell Abu an-Nida, with mine fields around it. 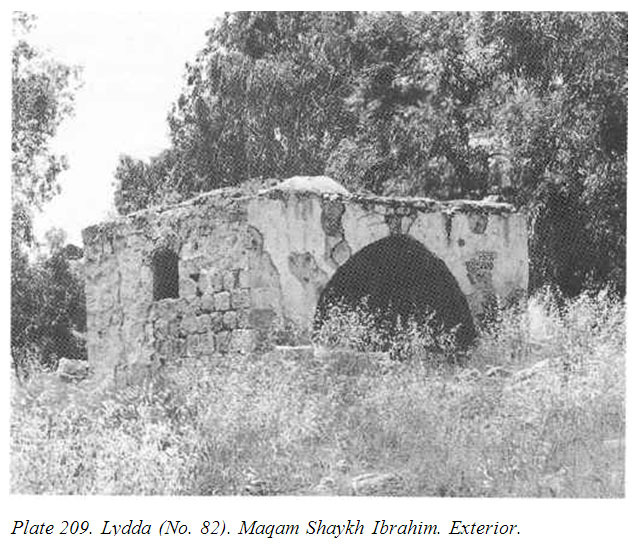 Anyway, according to military reports about the Golans during the Yom Kippur War in 1973, – the Musim shrine wasn`t mentioned in the descriptions of the Israeli positions in Tell Abu an-Nida. Now the access to Mount Avital is blocked by Israeli officers. When looking at the top of the mountain which is densely built with military structures, one may think it is unlikely that something from the previous times could be saved. 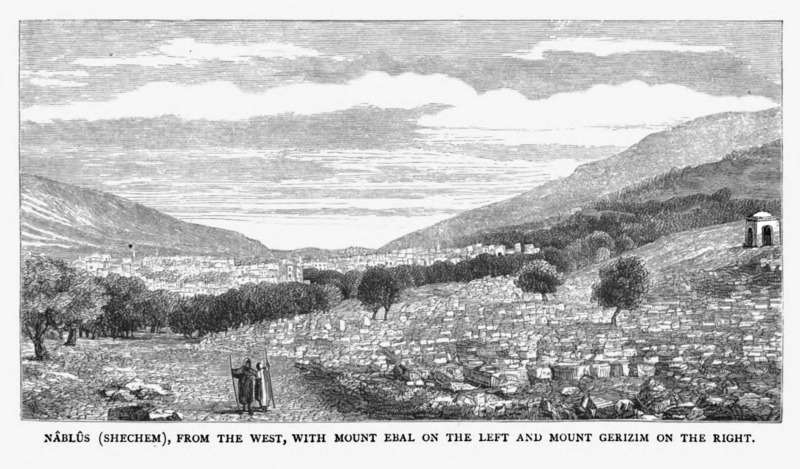 On Mount Peres (Arabic: Tell al-Faras) there also was a Muslim shrine – the Tomb of nabi Hasan al-Jezzar. “One of the most peculiar volcanoes of Jaulan, and which, as an isolated mountain, visible from a far distance, has been already frequently mentioned by travellers. 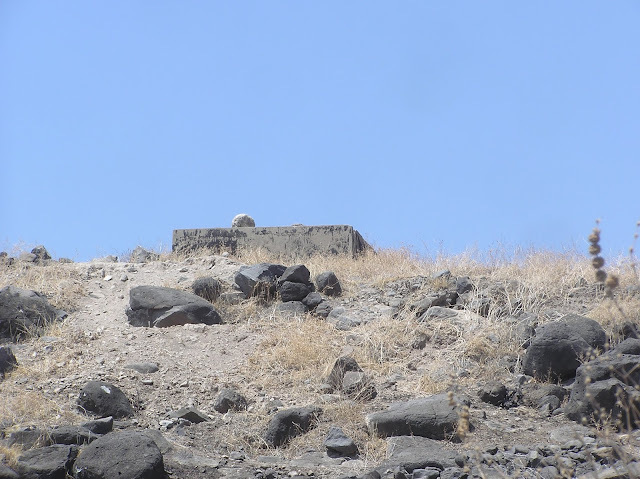 Its highest point in the south-east reaches a height of 3,110 feet (above sea level, and 787 feet above the surrounding plain), and on this top is the unadorned Moslem tomb, the Makam en-Nabi Hasan al-Jezzar, and a graveyard belonging to the Bedawin. The oval crater of the Tell which is still very distinctly preserved, opens towards the north. Between the Makam and the nouth of the crater the depth amounts to 108 feet. This latter has an opening of 18 feet by a depth of several feet; the natives call it Mugharah (cave), and often dig there for supposed treasure” (Schumacher 1888, 254). On the aerophoto of Tell al-Faras made by the Israeli officers in 1967 and 1973, neither maqam, nor cemetery could be identified. Probably they had not existed by that time. Probably they had not existed by that time. Now on the top of Mount Peres is an Israeli military base. 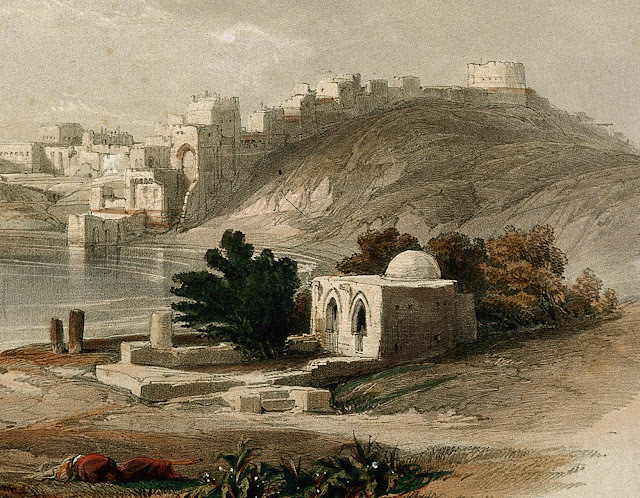 T. Canaan writes in his book on the Palestinian Muslim shrines, “Many a built maqam is an open sanctuary, where the walls of the roof rest on pillars. The best example of such a shrine is that of Hasan er-Ra'i, who was supposed to have been the shepherd of the prophet Moses. Inside of a rectangular enclosure, built of stones and mortar, we see an elongated and vaulted roof which rests on six pillars, three to the north and three to the south. Between these pillars is the large tomb” (1927, 17–18). Then T. Canaan says, “Between the two northern vaults of the shrine of Hasan er-Ra‘i (near the Nebi Musa) we read: "Mohammed Pasha, the doer of good, has erected this blessed qubbeh on Hasan er-Ra‘i, God sanctify his secret, as he (the Pasha) was returning from welcoming the Mohammedan pilgrims. He proceeded in building but found no water. But because of his high zeal, God protect him, the water was brought to the place from the village of Jericho. Thus he deserved the heavenly reward. The 1 Rabi‘ 1110 (1698 AD)"” (1927, 20). Now there is no this inscription there. The maqam's walls and columns have been plastered and painted a few times, and now they are covered with different inscriptions left by numerous pilgrims and tourists. Since 19th century, this shrine has been quite popular with visitors. Apparently, this tomb was seen by the Russian traveler A. Muravyov, passing in 1830 through Nabi Musa. 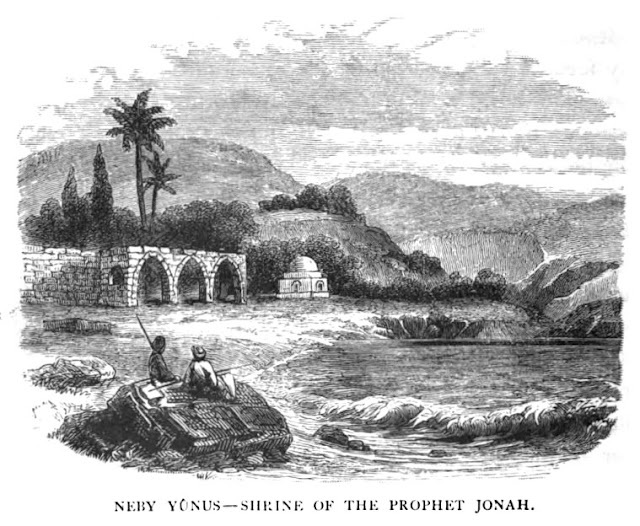 In his book, he noted: “Near the monastery of dervishes (Nabi Musa) are the tombs of two sheikhs with a fresh spring for passing” (1840, II 27). 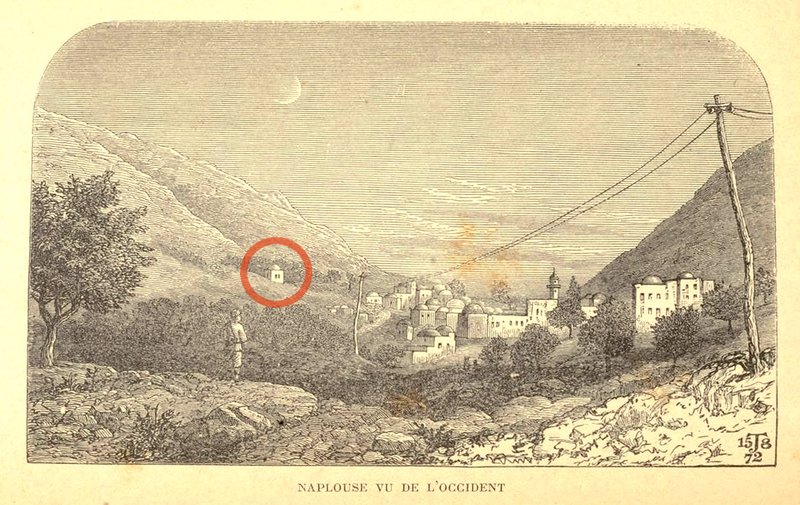 V. Guérin who visited the maqam in 1863, described it as follows, “At 10:10 we are passing a small fence with the wely in the centre. The welly is topped with two little domes and, also covers the remains of the saint. This kurgan chapel is called Qabr ar-Ra‘i. Ar-Ra‘i is a friend for the Muslims and a confidant of Nebi Musa or Moses” (Samarie I 20). C. Clermont-Ganneau says, “the kubbeh of a small wely, called Kubbet er ra‘y, “the shepherd's cupola." 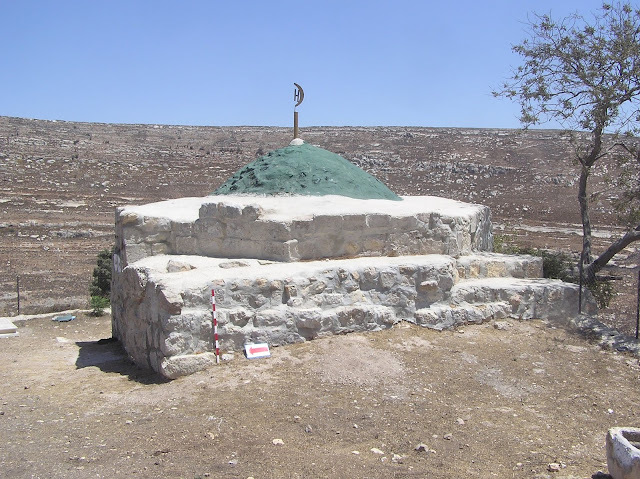 Here, according to local tradition, rests Sheikh Hasan, the "Shepherd of Moses"” (ARP II 48). Ar-Ra‘i is derived from Arabic and means “shepherd”. 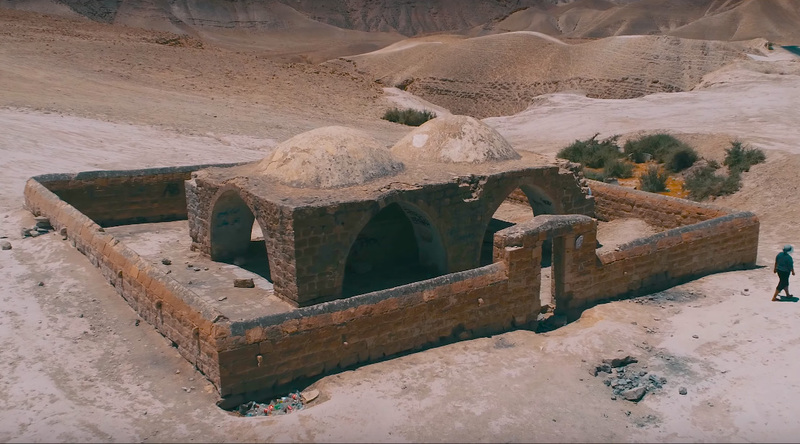 This shrine played an important role in a seven-day religious celebration (the Nabi Musa Festival), that was celebrated annually by Palestinian Muslims, beginning on the Friday before Good Friday in the old Greek Orthodox calendar. What is more, T. Canaan noted that Qabr er-Ra‘i has three mihrabs (1927, 14). 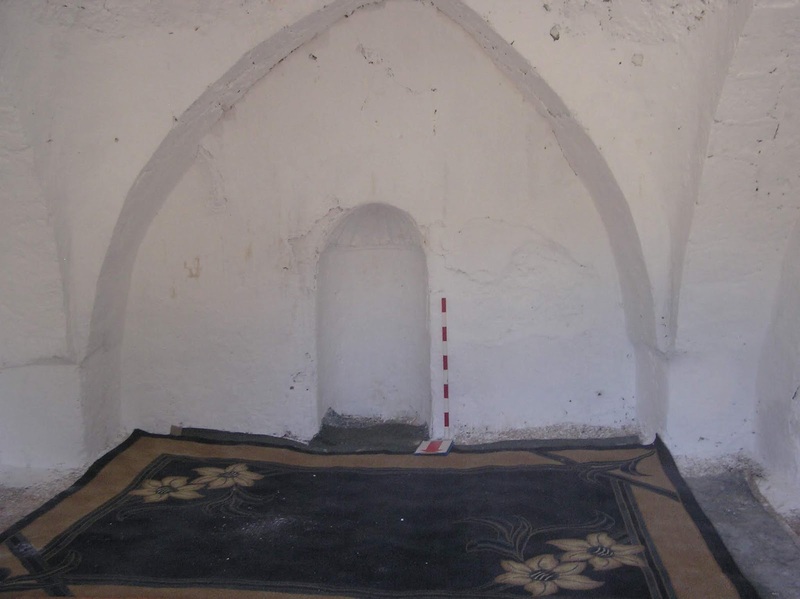 Nowadays there is one mihrab in the maqam, which is located in the south side of a rectangular fence (15 x 10 m). According to Canaan, “Earth gathered from Qabr er-Ra‘i dissolved in water and given to cattle will guard them from disease” (1927, 110). Route. 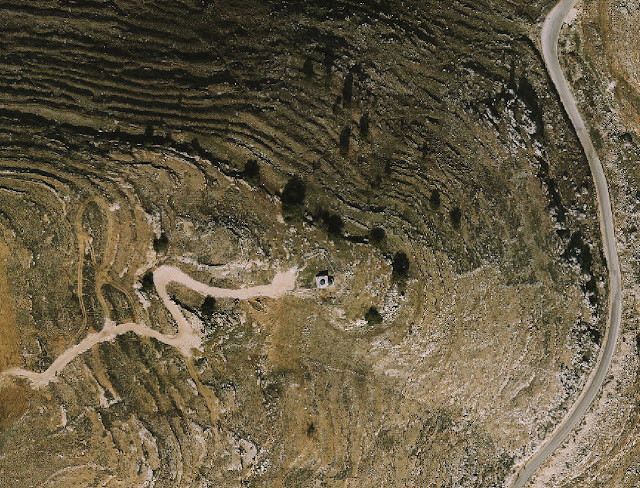 The maqam is located 850 m to the south-west from Nabi Musa. You can reach it via an asphalt road. Since 1995 the Palestinian National Authority have been taking control over the religious complex Nabi Musa and nearby shrines. Sitna (i.g. Lady) ‘Aisha was a beloved wife of Muhammad the Prophet. 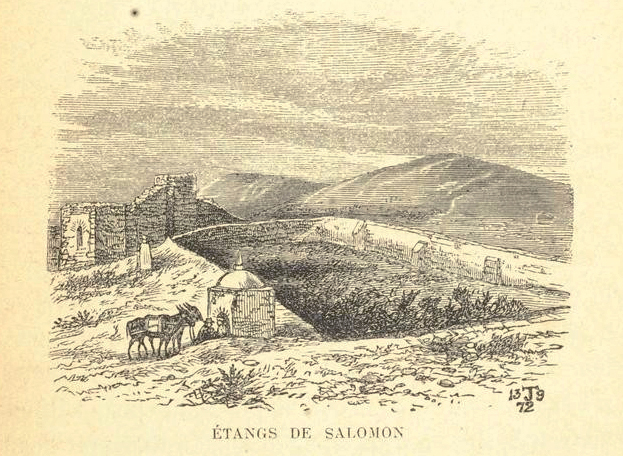 She was titled Umm al-Muminin (“the mother of the faithful”). She was worshipped by Sunnites as a hadith (the stories of the Prophet's life). She was traditionally buried at Jannat al-Baqi‘ cemetery in Medina. 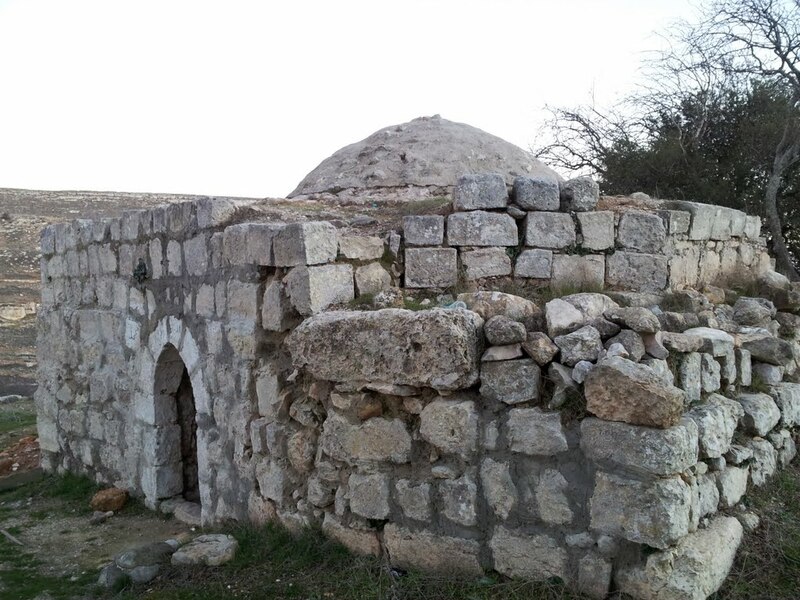 But also there is a tomb of sitna ‘Aisha in Palestine, nearby the shrine of Nabi Musa, to the east from Jerusalem. T. Canaan called this shrine a masjid (mausoleum) and described it as follows, “Masdjid sittna ‘Aisha in the neighborhood of Nabi Musa has vault resting on four comer pillars, where the south side has been completely closed, and the eastern and western only partly built. A simple, square handsome building with the northern side completely opened, and the east and west sides partly open, stands on the site of the old enclosure. 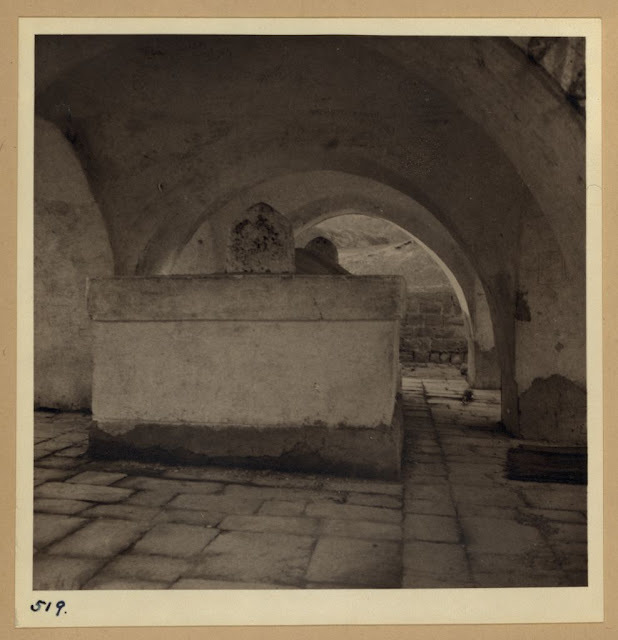 No tomb, cistern nor tree is connected with this place” (1927, 18, 61).